Susannah Townsend first sprung to my attention through her interaction with South African Hockey players on social networking tool Twitter. I then did a bit of research into her and found her to be extremely interesting. 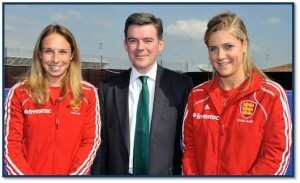 Susannah was called up to the English Womens side in 2008 for a series against Germany. The 23 year old was part of the training squad for the London Olympics, a bigger group of 28, but was unfortunately left out of the Olympics squad. 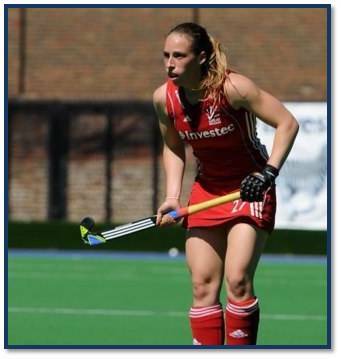 Susannah was recently named as the captain of the EuroCantebury Ladies and Jabu sat and had a chat with the English Rose in what is quite possibly the best JabuView yet. All Things Jabu (ATJ): Thanks for the chance to chat to you. As you are from England, were you upset at missing out on the Olympics? 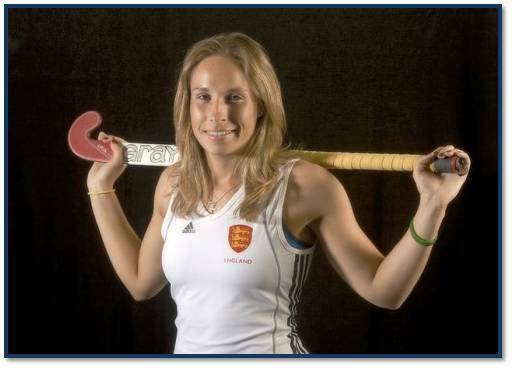 Susannah Townsend (ST): The Olympic games for a hockey player is the most important tournament you can compete in as an athlete. We train full time so we are in contention to medal at the Olympic games. I joined the GB centralized program in December 2010 which gave me a year and a half to try and make the final 16 for the Olympics. The squad had been training for 3 years together so I had some catching up to do. With the help of all the support staff including nutrition, strength and conditioning and hockey itself I managed to get up to speed very quickly. There was a squad of 28 of us all pushing each other to our limits every day so that the 16 representing GB were also representing the 28. I was devastated not to be selected as this is what I had trained so hard for. With this I was realistic and have managed to set my focus on Rio 2016. The London games was a home Olympics, it was my dream to play in it. Not being selected hurt but it has given me the drive to be one of the worlds best players in the future. 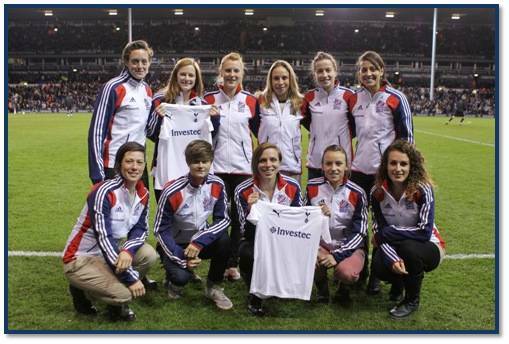 ATJ: We will be shouting for you (Unless you playing for against the SA Girls!) at Rio for sure! Speaking of the South African ladies, you appear to have made good friends with some of them, have you ever been to our country? ST: I have a lot of friends from South Africa, in my opinion this is because I enjoy your way of life and the manner you go about everything. You all seem to make people feel very welcome in any situation. I was lucky enough to live with some South Africans in Belgium as well as having a few SA players at Canterbury with me. It is one of the great things about hockey, meeting people from all over the world or in my case just South Africans. I haven’t visited the country but it is something I plan to do this Christmas if I have time or when I have some time off, so maybe after Rio now. ATJ: We would welcome you with open arms for sure! 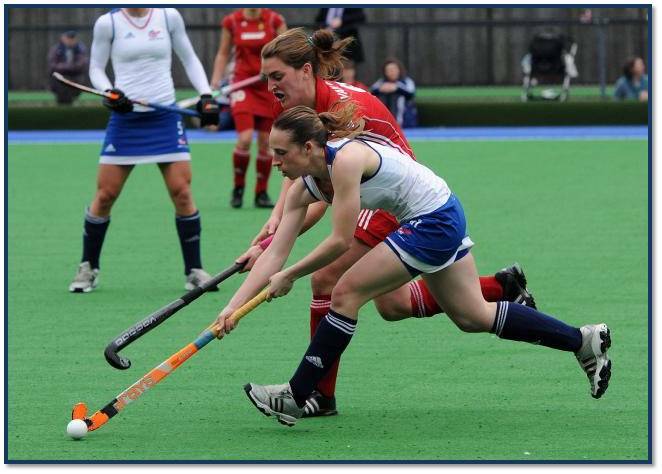 You were recently appointed captain of the EuroCanterbury Ladies, how have you adapted to this new role? ST: I have been at Canterbury since I was a 15 year old and was taken under Mel Clewlow’s wing. She has been been very influential my career from the way she captains her club and how she conducts herself on and off the pitch. Mel has always been my captain and I will continue to look up to her as well as guide and help her. I have picked up on a lot of her techniques over the years, some of which I will use. With this I will make the role my own which will be something that takes time. I tend to lead by example on the pitch, I am vocal when it is necessary but I am not a shouter. I am excited about seeing how I do adopt this role and I hope to continue to captain my club for as long as possible. ATJ: As hockey is a huge part of your life, how do you keep yourself busy when you are not playing hockey? ST: I am still studying, I will complete my final year at the University of Kent this year when I don’t have as much hockey. Away from that I am very close to my family so when I can I relax with them at my parents. I have a unique passion for West Ham United football club so when I can I go and watch them with my Father, this is something we have been doing together since I was 4 years old. I tend to keep myself very busy, whether that is seeing friends for coffee or playing/watching sport. I make sure I always have something to do as sitting still is something I find very hard to do. ATJ: We share that sentiment! You also spent a year in Belgium, what was that experience like for you? ST: I had reached a stage in my career in 2009 when I felt like I wasn’t improving as a player. It would have been very easy for me to stay at Canterbury and accept that it would be the highest level I would play at. 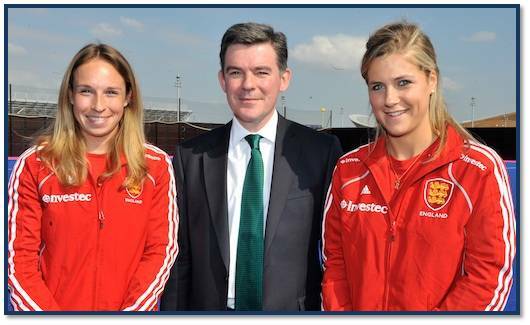 I knew that I had to do something to give myself the best chance of playing for GB and England in the future. I got an offer from Belgium, with no financial gains it was still something I couldn’t turn down. I wanted to replicate something similar to what the GB centralized program offered and for me getting on the pitch and gym every day in Belgium was the closest I could come to being a full time athlete. It was the best decision I have every made as it made me improve as a player and a person. ATJ: There are countless moments in your career which will live long in the memory, but what has been the highlight of your career so far? ST: It would have to be my U21 days in the Junior World Cup in Boston where we finished in 4th position. My reasoning behind this is that I had been playing with the girls since I was 15. We were best friends on and off the pitch, this showed in our performances. We were a talented team but what made us in to one of the top teams was the bond we shared, we were playing for each other and this was something that no one could compete with. In the end 4th was a disappointing final result but at the time it was the best performance any England hockey team had finished in a World Cup. I will always remember this trip fondly as it showed me how important friendship and understanding is in making you in to a great team. ATJ: Fantastic stuff! What are your personal career goals for the next few years? ST: Firstly I am setting my sights on Canterbury over the next 6 months. 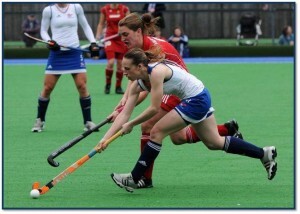 We are a club in the South East of England that consistently compete for honors in the Investec Women’s Hockey League. Unfortunately we have missed out on a European spot since 2007, for a club this is something we are aiming to be in again as the level of club European hockey is something the England hockey league can’t compete with at the moment. We have a young team this season but we will still be up there pushing for that all important spot. Our GB program for Rio will start again in April where we will train as a squad full time for another 3 years, so I will get myself in the best possible shape physically and mentally so I am ready to go come April. My aim is to consistently make squads for England and GB over the next 3 years and to continue to improve all aspects of my game making me in to a world class player. ATJ: Well I wish you the best of luck in achieving those goals, be it with England, GB or Cantebury. Having faced many tough opponents in the World game, do any of them stick out as the toughest opponent you have ever played against? ST: As a team it would have to be Holland. Their movement and the free flowing hockey they play is something that is very difficult to play against. We are now at a stage where we can compete with them and beat them, which is a big step for us as a team. Player wise I would have to say our captain Kate Walsh, I am fortunate enough to train and play with and against her every week. She has the ability to always make a tackle even when you think you have got passed her. Having her in our team is a big positive as she is one of the best defenders in the world. ATJ: Hockey is a sport with some exceptional manufacturers, which stick manufacturer do you use? ST: I have recently just moved to Adidas where I use a LX24, I like the stick to be as light as possible. It is soft but has enough power behind it to be able to score some goals. I’m hoping it serves me well over the next 4 years. ATJ: If you could visit one place in the world where would it be? ST: See the perfect answer here would be South Africa (ATJ – you see, we knew she was class!) but I can’t be that predictable. I would have to say Scandinavia, as it is a little bit different and I would like to see the northern lights. If I get the chance I would also like to go open water diving in the Philippines as it is meant to be some of the best diving in the world there. ATJ: If you could qualify for any other sport at the Olympics which would it be? ST: I would love to become a 10m platform diver if I was flexible enough, unfortunately my hamstrings won’t stretch that far. I love the artistic aspect behind it and the perfection behind every move. 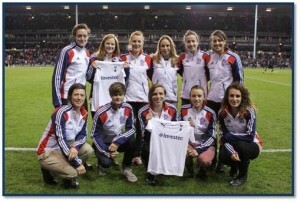 ATJ: I think its best if I make no comment, who do you support in other sports? ST: I love all sports. As a youngster I played a lot of tennis and I like to think I could have made it as a tennis player, this is only a passing thought. I became very lonely and felt isolated playing tennis by myself every day so when I had the opportunity to play a team sport at the age of 12 I jumped at the opportunity. I am an avid West Ham United fan and I also like to watch a lot of rugby. The Olympics introduced me to handball, this is a sport I wasn’t very aware of before so I am looking forward to following it. I love to water ski but unfortunately I don’t have time or anywhere to do this in the UK, so maybe I will do this in another life. With hockey it is difficult to also go snow skiing with the risk of getting injured, this is also one of my favorite sports that I will look to do more of one day. ATJ: And where can our readers find out more about you? ATJ: Thank you so much for the chat and good luck with everything!